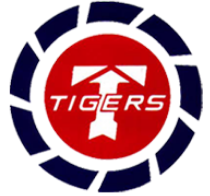 15 March 1962: Flying Tiger Line Flight 7815/13 was a chartered flight for the Military Air Transport Service (M.A.T.S. Flight 739/14), from Travis Air Force Base,Fairfield, California, to Saigon, Republic of Vietnam, with scheduled refueling stops at Honolulu, Hawaii; Wake Island; Naval Air Station Agana, Guam; and Clark Air Force Base, Luzon, Philippine Islands. The flight departed Travis at 0545 G.M.T., 14 March. 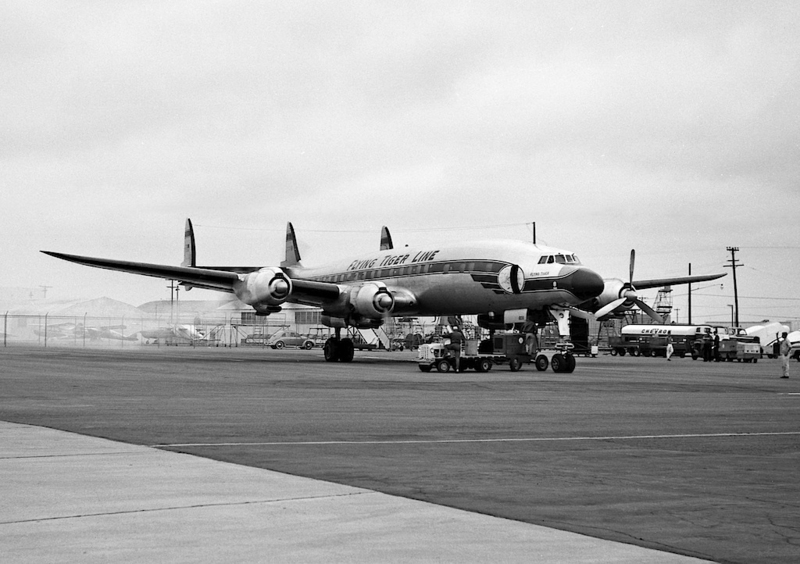 The airliner was a Lockheed L-1049H Super Constellation, N6921C, under the command of Captain Gregory P. Thomas. The flight crew consisted of three pilots, two flight engineers, and two navigators/radio operators. There were four stewardesses in the passenger cabin, with 96 passengers. Three of the passengers were Vietnamese military personnel, while the remainder were U.S. Army electronics and communications specialists. The Super Constellation departed Guam for Luzon at 1257 G.M.T, 15 March. It climbed to 18,000 feet (5,486 meters). The estimated flight time for this leg was 6 hours, 19 minutes. The airplane carried sufficient fuel for 9 hours, 30 minutes of flight. 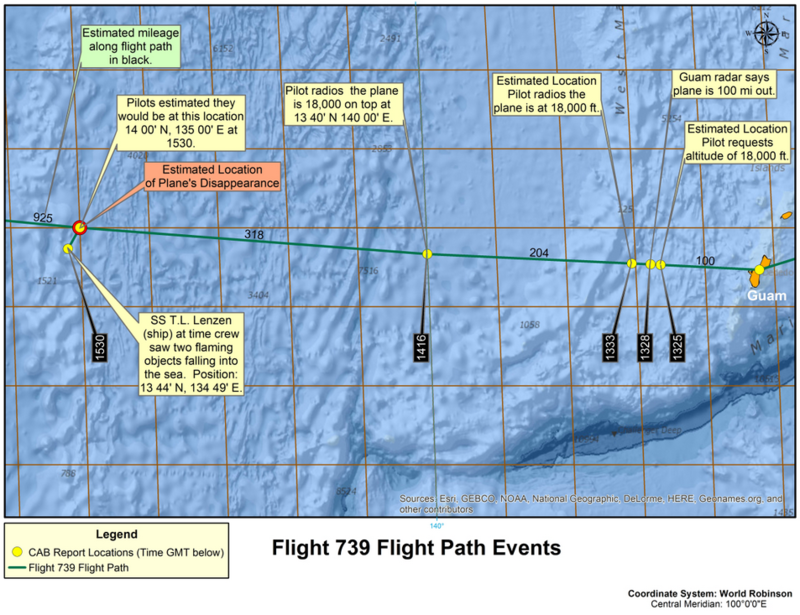 At 1422 G.M.T., M.A.T.S.. flight 739/14 radioed the Guam International Flight Service Station, reporting their position at 1416 hours as North 13° 40′, East 140°, and cruising at 18,000 feet (5,486 meters). The navigator gave the flight’s estimated position at 1530 G.M.T. as N. 14° 00′, E. 135° 00′. There was no 1530 hours position report from Flight 739. Beginning at 1533 G.M.T., the Guam I.F.S.S. began attempting to contact the airliner, but was unsuccessful. At 1943 hours, the Joint Rescue Coordination Centers at NAS Agana and Clark AFB began search and rescue operations. At 2227 hours, the airliner was declared lost. The crew of the Standard Oil Company tanker S.S. T. L. Lenzen reported that at 1530 G.M.T., (1:30 a.m., local time), five persons on board had witnessed a midair explosion near Flight 739’s estimated position for that time. The flash was bright enough to illuminate the ship’s decks. “It was established, upon interrogation of five of the crew members, that shipboard lookouts had observed a midair explosion at the approximate position and time when N 6921C was expected to reach 14°00′ North and 135°00′ East. 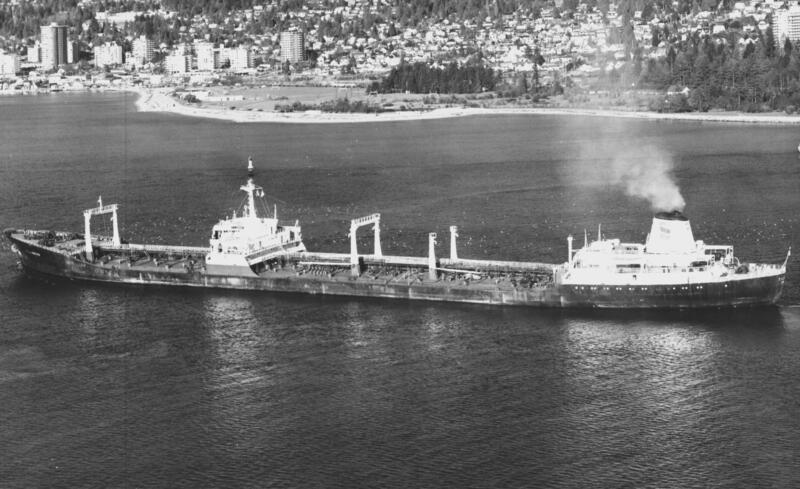 It was recalled that a vapor trail, or some phenomenon resembling a vapor trail, was first observed overhead and slightly to the north of the tanker and moving in an east to west direction. The Lenzen was cruising on a heading of 077° at this time. As this vapor trail passed behind a cloud, there occurred an explosion which was described by the witnesses as intensely luminous, with a white nucleus surrounded by a reddish-orange periphery with radial lines of identically colored light. The explosion occurred in two pulses lasting between two and three seconds and from it two flaming objects of unequal brightness and size apparently fell, at different speeds, into the sea. During the last 10 seconds of the fall of the slower of the two objects, a small bright target was observed on the ship’s radar bearing 270°, range 17 miles. “The captain of the Lenzen stated that he arrived on deck in time to observe the fall of the slower object for approximately 10 seconds before it disappeared from view. He estimated its position in reference to a star and ordered the ship’s course reversed and, after aligning the heading of the vessel with the star, found his heading to be 270°—the same as the bearing of the target previously seen on radar. The captain reported that the weather at that time was: ‘moonlight, clear atmosphere, 1/4 covered sky by small cumulus clouds evenly distributed.’ The ship proceeded to the position of the radar target and searched the area until 2105 at which time the original course was resumed. No signals or unusual sightings were reported. Probable Cause: The Board is unable to determine the probable cause of this accident from the evidence now available. BURBANK, Calif. (AP)—Sabotage, already suspected in the mysterious disappearance of an airliner loaded with American troops, would be considered a stronger possibility than ever if it turns out the plane blew up. A Flying Tiger Lines official said Sunday experts consider it impossible for a violent explosion to occur about aboard its Super Constellation under normal conditions. Another speculative theory was that the airliner had been hijacked in order to kidnap the passengers. 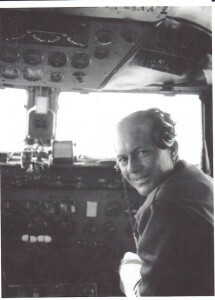 First Officer Robert J. Wish had worked for FTL since 25 January 1951. He held an ATP certificate, with type ratings for C-46, DC-4 and L-1049H.had a total of 17,500 flight hours, with 3,374 hours in the L-1049H. Wish was also 48 years old, and lived in Hidden Hills, California. Second Officer Robbie J. Gayzaway [Gazaway or Gazzaway? ], 39 years old, from Fillmore, California, was employed by FTL 7 January 1953. He held an ATP certificate with an L-1049H type rating. He had flown 5,500 hours, with 900 in the L-1049H. 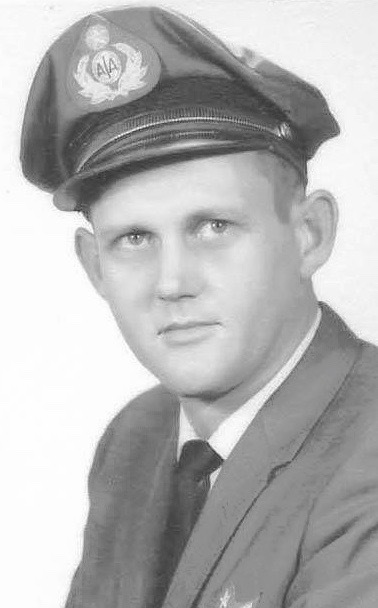 Flight Engineer George Mitchell Nau was hired by the Flying Tiger Line 15 December 1956. He held an F.A.A. Flight Engineer certificate. He had flown 1,235 hours in the L-1049H. Nau was 38 years old and lived in Pacoima, California. A second flight engineer was Clayton E. McClellan, 33 years old, from San Mateo, California. He was also a certified flight engineer. He had worked for FTL since 4 April 1960. He had approximately 1,090 hours in the L-1049H. Navigator William T. Kennedy was hired by FTL 13 February 1962. He was 45 years old, from Braintree, California. He held both navigator and radio operator licenses. 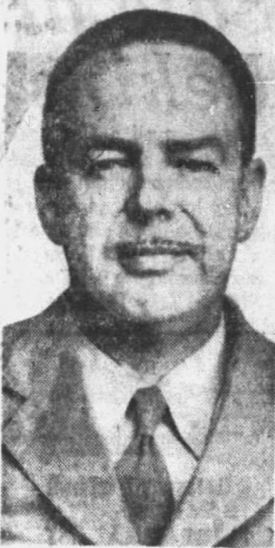 Navigator Grady Reese Burt, Jr., was hired 14 February 1962. He also held both navigator and radio operators licenses. He lived in Baldwin Park, California. The cabin crew were Senior Flight Attendant Barbara Jean Walmsley from Santa Barbara, California; Hildegard Muller; Christel Diana Reiter of San Mateo; and Patricia Wassum. 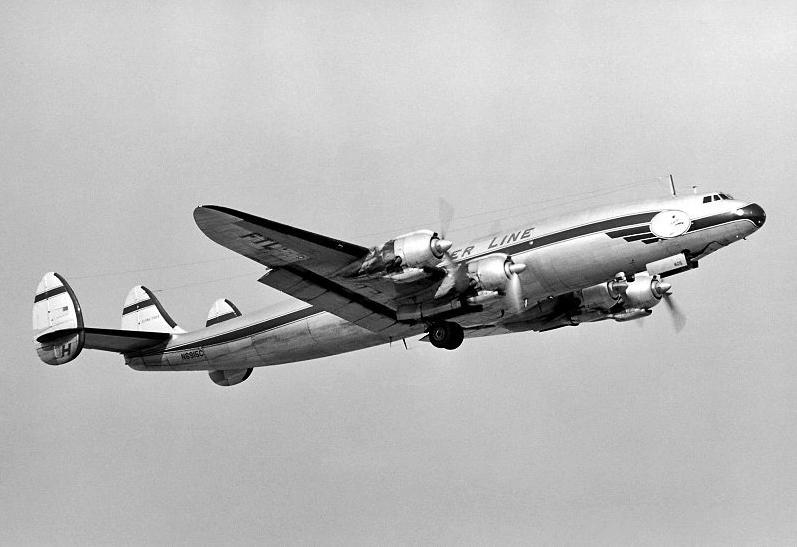 The Super Constellation remains missing today, and all 107 persons on board are presumed to have died. With respect to the loss of life, this was the worst accident involving a Lockheed Constellation. 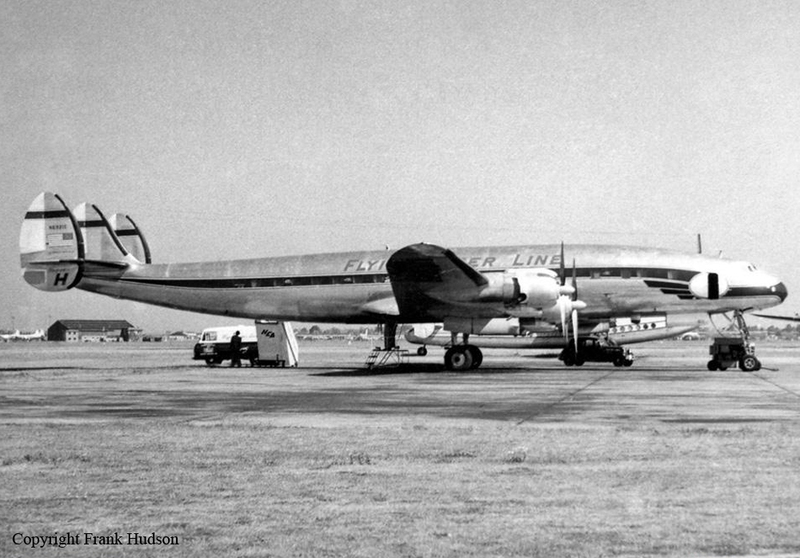 N6921C was the second Lockheed L-1049H Super Constellation lost by Flying Tiger Line on 15 March 1962. The first was N6911C (Lockheed serial number 4804), under the command of Captain Morgan W. Hughes of San Mateo, California. It was also a M.A.T.S. chartered flight, FTL Flight 7816/14, and, like N6921C, had departed from Travis Air Force Base on the night of 14 March. It was reportedly carrying a “secret military cargo” to Kadena Air Force Base, Okinawa. While on a Ground Controlled Approach (GCA) approach to NAS Adak Island (in the Aleutian Islands of Alaska) the airliner was consistently below the glide path. Despite seven separate warnings from the ground controller, at 1214 G.M.T., the airplane’s landing gear struck rocks 328 feet (100 meters) short of the runway threshold. It then slid for 2,000 feet (610 meters) along the runway, coming to rest just off its edge. The airliner caught fire and was destroyed. Of the 7 persons on board, 1, James M. Johnstone, a flight engineer, was killed. Captain Hughes had a total of 13,000 flight hours, with 3,055 hours in the L-1049H. The co-pilot, First Officer Thomas M. Mitchell, had 19,000 flight hours with 1,211 hours in type. 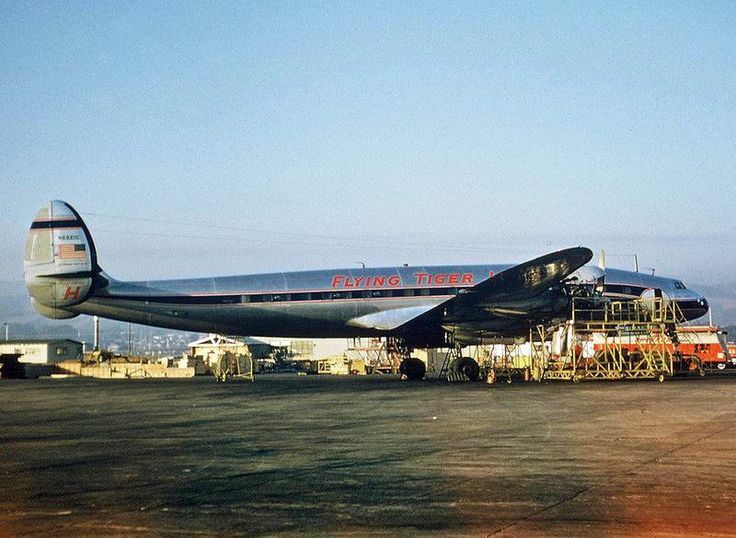 Flying Tiger Line lost two more L-1049H Super Constellations, N6923C and 6913C, in 1962. Lockheed L-1049H Super Constellation N6921C (LAC serial number 4817) was delivered to the Flying Tiger Line in 1957. It was a large, four-engine, long-range airliner. The airplane was operated by two pilots, a flight engineer and a navigator. 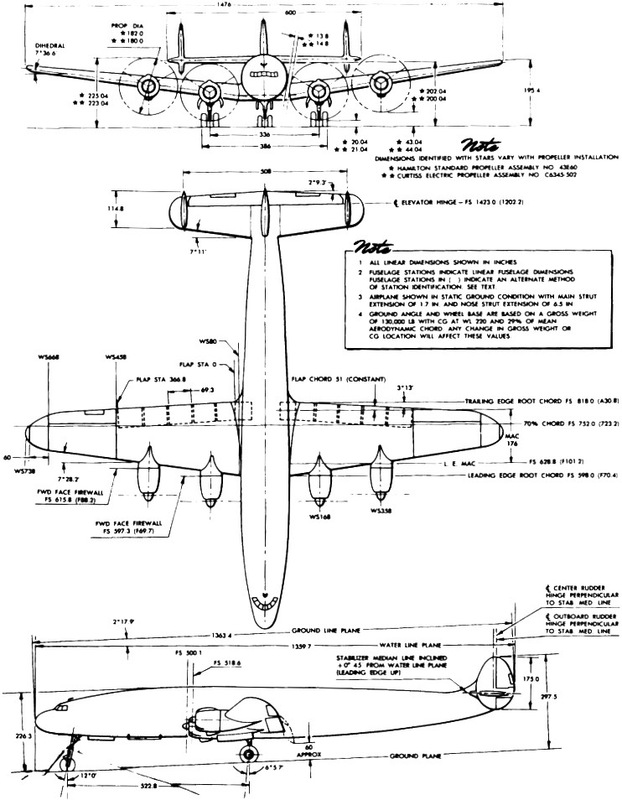 The L-1049 series was 18 feet, 4 inches (5.588 meters) longer than the preceding L-749 Constellation, and could be converted from a passenger airliner to an air freighter configuration in a few hours. The L-1049 was 113 feet, 3.7 inches (34.536 meters) long, with a wingspan of 123 feet, 0 inches (37.490 meters), and overall height of 24 feet, 9.5 inches (7.557 meters). The fuselage had a maximum diameter of 11 feet, 7½ inches ( meters). The total wing area was 1,650 square feet (153.3 square meters).The wings’ leading edges were swept aft 7° 28.7′, while the trailing edges swept forward 3° 13′. They had 7° 36.6′ dihedral. The L-1049H had an empty weight of approximately 73,000 pounds (33,122 kilograms. N6921C had an maximum allowable gross weight of 141,845 pounds (64,340 kilograms). When it departed Guam, it carried 25,552 pounds (11,590 kilograms) of 115/145-octane aviation gasoline, and its gross weight was 132,554 pounds (60,125 kilograms). 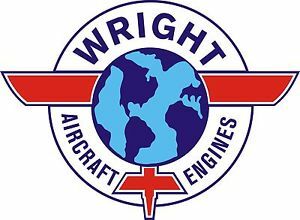 N6921C was powered by four air-cooled, direct-fuel-injected, 3,347.662 cubic-inch-displacement (54.858 liters) Wright Aeronautical Division 988TC18EA3 turbocompound engines with a compression ratio of 6.70:1. The turbocompound engine used captured exhaust gases to drive three Power Recovery Turbines. These PRTs were geared to the engine’s crankshaft. This system added approximately 450 horsepower to the engine’s total power output. The 988RC18EA3 had Normal Power ratings of 2,860 horsepower at 2,650 r.p.m. at Sea Level; 2,920 horsepower at 2,650 r.p.m. at 4,800 feet (1,463 meters); 2,450 horsepower at 2,600 r.p.m. at 16,400 feet (4,999 meters). Its Maximum Power ratings were 3,400 horsepower at 2,900 r.p.m. to 4,000 feet (1,219 meters) for Take Off; and 2,600 horsepower at 2,600 r.p.m. at 15,200 feet (4,633 meters). 115/145-octane aviation gasoline was required. The engines turned three-bladed Hamilton Standard or Curtiss Electric propellers through a 0.4375:1 propeller gear reduction. The reduction gears were strengthened to support 4,000 horsepower. The Wright 988TC18EA3 was 7 feet, 5.53 inches (2.274 meters) long, 4 feet, 8.59 inches (1.473 meters) in diameter, and weighed 3,640 pounds, ± 1% (1,651 kilograms). The L-1049 had a maximum speed for normal operations (VNO) of 260 knots (299 miles per hour/482 kilometers per hour) and a maximum speed (VNE) of 293 knots (337 miles per hour/543 kilometers per hour) up to 11,000 feet (3,353 meters). VNO was reduced by 9 knots, and VNE reduced by 11 knots, for each 2,000 foot (610 meters) increase in altitude above 11,000 feet. The maximum operating altitude for the L-1049 was 25,000 feet (7,620 meters). Its maximum range was 4,140 miles (6,663 kilometers). N6921C had flown a total 17,224 hours in just under five years. It was properly certified and maintained, and had no known discrepancies. N6911C had 16,038 hours, TTAF. Flying Tiger Line’s Lockheed L-1049H Super Constellation N6915C, the same aircraft type as N6911C and 6921C. This airplane crashed 24 December 1964 at San Francisco, California. 26 January 1972: Miss Vesna Vulović was a flight attendant aboard Jugoslavenski Aerotransport (JAT) Flight 367, en route from Copenhagen, Denmark, to Zagreb, Yugoslavia. 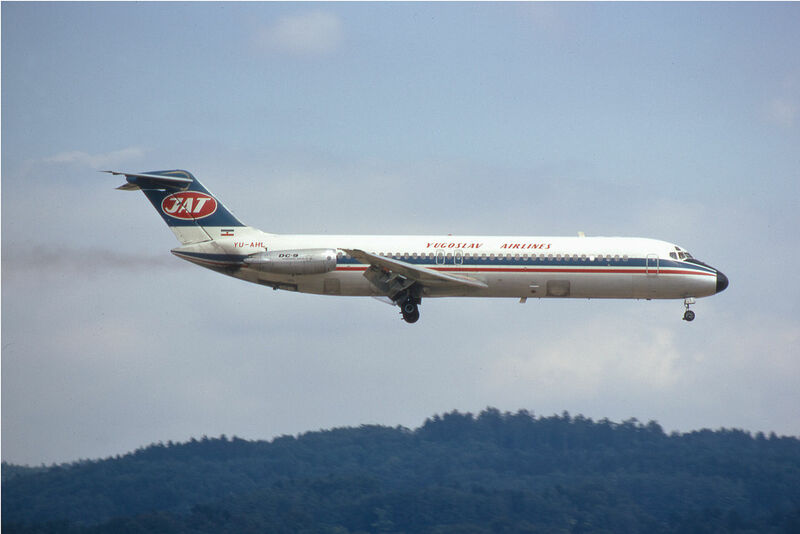 The airliner, a McDonnell Douglas DC-9-32, YU-AHT, was nearly new. It had made its first flight the previous year and had a total 2,091 hours. At 4:01 p.m., over Srbská Kamenice, Czechoslovakia, a bomb exploded in the airliner’s baggage compartment. As the airplane broke apart from the force of the explosion and decompression, 19 people fell from the disintegrating passenger cabin. 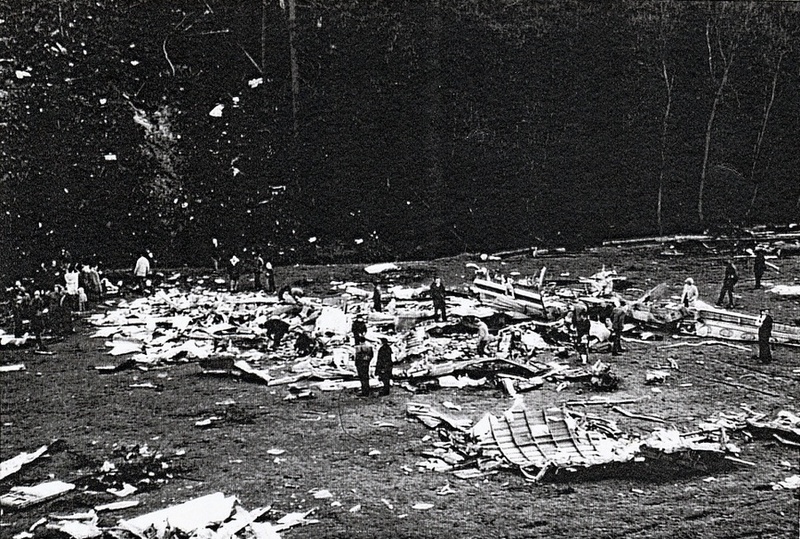 Wreckage of the DC-9 was dispersed over several kilometers. Miss Vulović was among those who fell. According to Guinness World Records, she fell 10,160 meters (33,333 feet), and though she was severely injured, she survived. 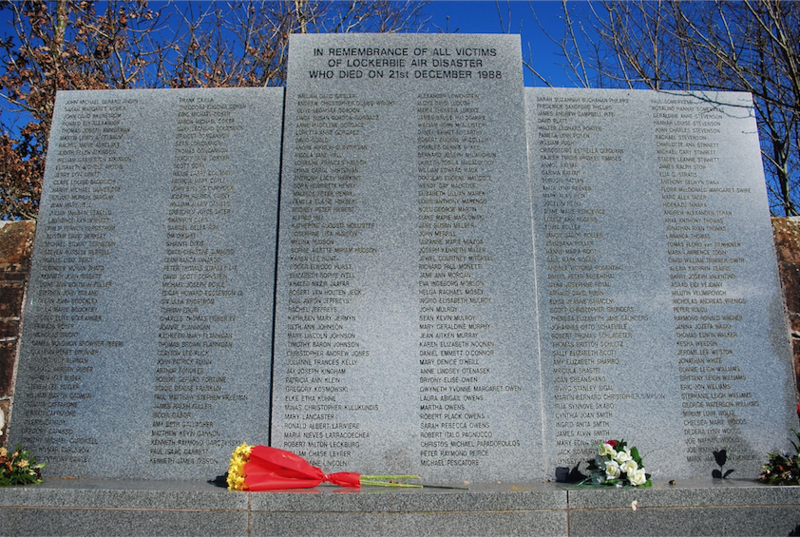 The remainder of the passengers and crew were killed. Miss Vulović was in a coma for 27 days, and never regained memory of the incident. She was paralyzed below her waist for several months and remained hospitalized for 1 year, 4 months. In 1985, Guinness credited her with the “highest fall survived without a parachute.” The award was presented by Paul McCartney. 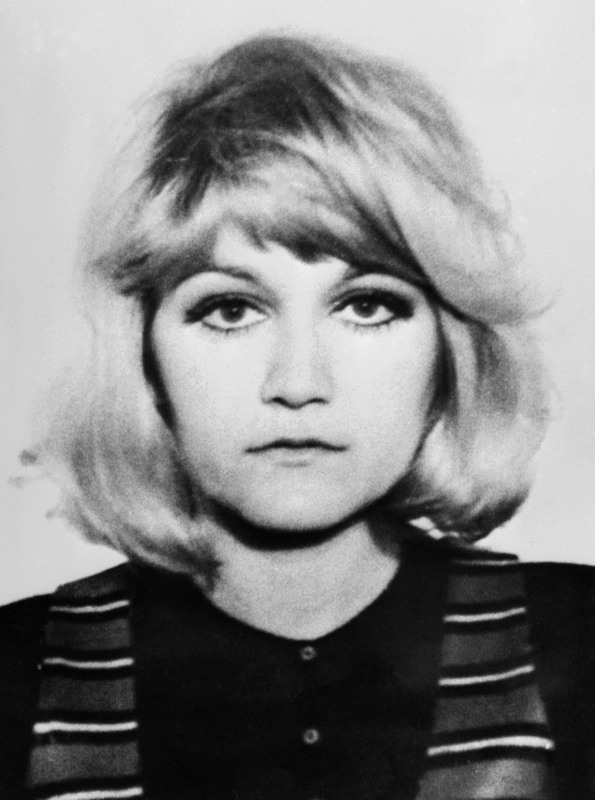 Miss Vulović was born in Belgrade, Federal People’s Republic of Yugoslavia, 3 January 1950. She died there 23 December 2016 at the age of 66 years. She was buried at Novo groblje, a cemetery in Belgrade, Republic of Serbia. 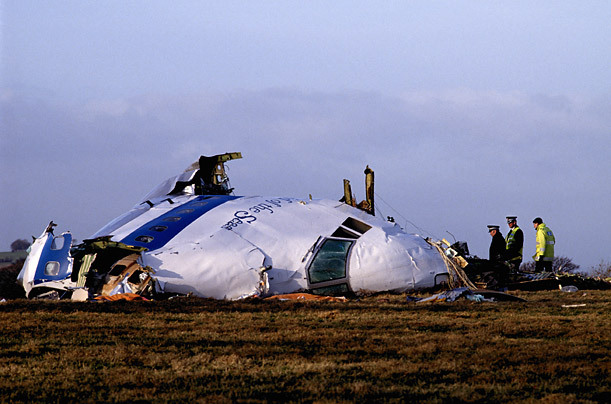 21 December 1988: Pan American World Airways’ Flight 103 was a scheduled transatlantic passenger flight, originating at Flughafen Frankfurt am Main (FRA) with stopovers at London Heathrow Airport (LHR) and John F. Kennedy International Airport (JFK), with a final destination of Detroit Metropolitan Wayne County Airport (DTW). The first leg from Frankfurt to London was flown with a Boeing 727. 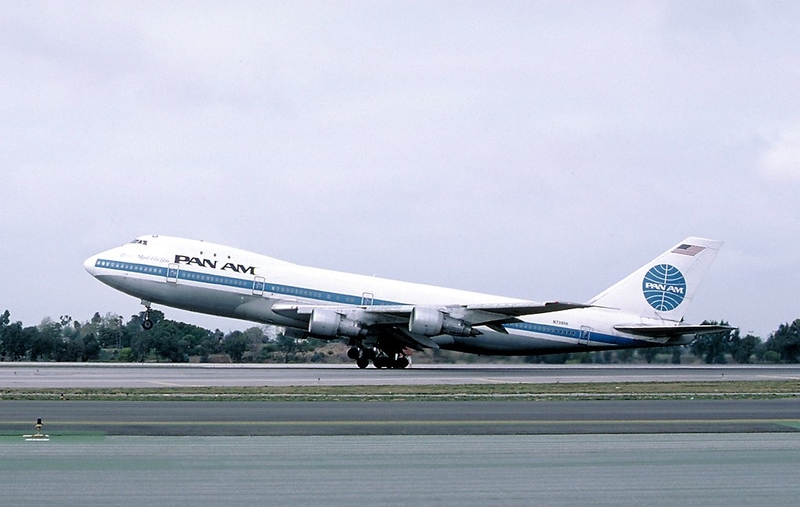 The transatlantic segment of Flight 103 was flown by a Boeing 747-121, N739PA, named Clipper Maid of the Seas. It departed Heathrow at 1825 hours UTC, with 16 crewmembers and 243 passengers. The 747 climbed to the north and leveled off at at 31,000 feet (9,449 meters) at 1856 hours. At approximately 1903, a time bomb which had been placed inside luggage carried in the airliner’s cargo hold detonated. Explosive decompression magnified the effects of the bomb. 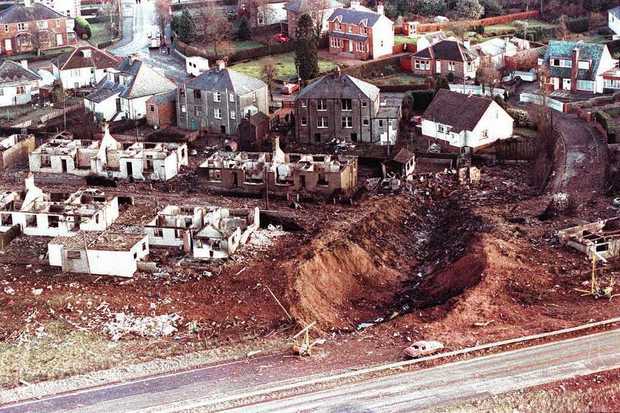 The airliner broke into five large sections and fell to the ground at the town of Lockerbie, Scotland. All 259 persons on board the 747 were killed, as were another 11 persons on the ground. The time bomb is believed to have been placed aboard the airliner by agents of the Great Socialist People’s Libyan Arab Jamahiriya, acting on orders of the Brotherly Leader and Guide to the Revolution of Libya, Muammar al-Gaddafi. One of these, Abdelbaset Ali Mohmed al-Megrahi, was convicted of 270 counts of murder in a Scottish criminal court seated in The Netherlands. The defense twice appealed the case, but prior to a decision in the second appeal, al-Megrahi dropped his appeal and asked to be released from jail because it was believed that he would very soon die of cancer. The Scottish court did release him and he returned to Libya on 14 August 2009, on board Colonel Gadaffi’s personal aircraft. He reportedly died 20 May 2012. Boeing delivered N739PA to Pan American 15 February 1970. The airliner was originally named Clipper Morning Light. At the time of the bombing, it had accumulated 72,464 total flight hours. The forward section of Clipper Maid of the Seas, near the village of Tundergarth, Scotland. The 747-100 series was the first version of the Boeing 747 to be built. It was operated by a flight crew of three and was designed to carry 366 to 452 passengers. It is 231 feet, 10.2 inches (70.668 meters) long with a wingspan of 195 feet, 8 inches (59.639 meters) and overall height of 63 feet, 5 inches (19.329 meters). The interior cabin width is 20 feet (6.096 meters), giving it the name “wide body.” Its empty weight is 370,816 pounds (168,199 kilograms) and the Maximum Takeoff Weight (MTOW) is 735,000 pounds (333,390 kilograms). The 747-100 is powered by four Pratt & Whitney JT9D-7A high-bypass ratio turbofan engines. The JT9D is a two-spool, axial-flow turbofan engine with a single-stage fan section, 14-stage compressor (11 high- and 3 low-pressure stages) and 6-stage turbine (2 high- and 4 low-pressure stages). The engine is rated at 46,950 pounds of thrust (208.844 kilonewtons), or 48,570 pounds (216.050 kilonewtons) with water injection (2½-minute limit). This engine has a maximum diameter of 7 feet, 11.6 inches (2.428 meters), is 12 feet, 10.2 inches (3.917 meters) long and weighs 8,850 pounds (4,014 kilograms). The 747-100 has a cruise speed of 0.84 Mach (555 miles per hour, 893 kilometers per hour) at 35,000 feet (10,668 meters). The maximum certificated operating speed is 0.92 Mach. The airliner’s maximum range is 6,100 miles (9,817 kilometers). The Boeing 747 has been in production for 48 years. More than 1,536 have been delivered as of September 2017. 205 of these were the 747-100 series. The U.S. Air Force has selected the Boeing 747-8 as the next presidential transport aircraft. 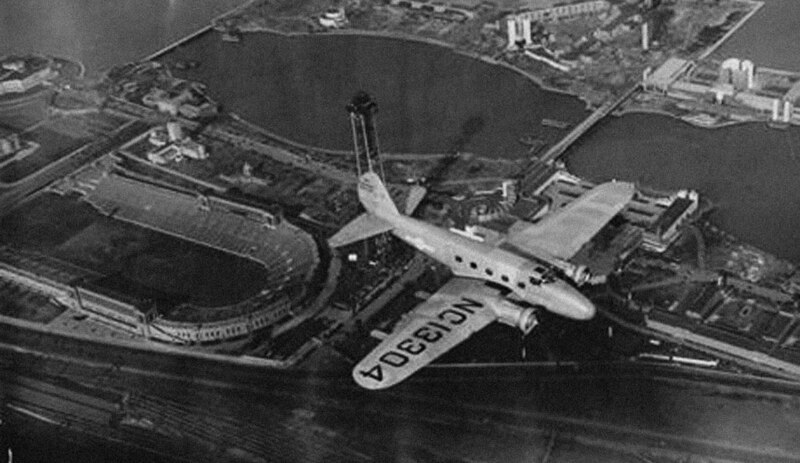 United Air Lines’ Boeing 247, NC13304, over Chicago, Illinois, 1933. 10 October 1933: A United Air Lines Boeing 247, civil registration NC13304, was on Trip 23, a scheduled transcontinental flight from Newark, New Jersey to Oakland, California, with intermediate stops at Cleveland, Ohio, and Chicago, Illinois. The airliner, which had been in service only six months, was carrying a crew of three with four passengers. While enroute from Cleveland to Chicago, NC13304 exploded in mid-air. It crashed near Jackson Township, approximately five miles southeast of Chesterton, Indiana. There was a second explosion after the crash. All seven persons aboard were killed. NC13304, serial number 1685, was the fourth Model 247 to be built. 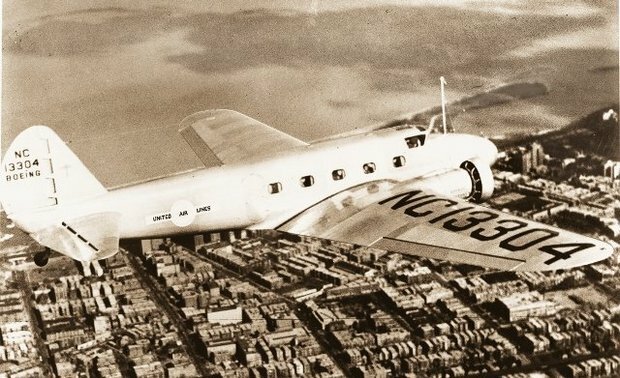 The Boeing 247 is considered to be the first modern airliner because of its all-metal, semi-monocoque construction, cantilevered wing and retractable landing gear. It was 50 mph faster than its contemporaries, and could climb on one engine with a full load. It carried a pilot, co-pilot, flight attendant and up to ten passengers. The Boeing 247 was powered by two air-cooled, supercharged 1,343.80-cubic-inch-displacement (22.021 liter) Pratt & Whitney Wasp S1H1 nine-cylinder radial engines with a compression ratio of 6:1. 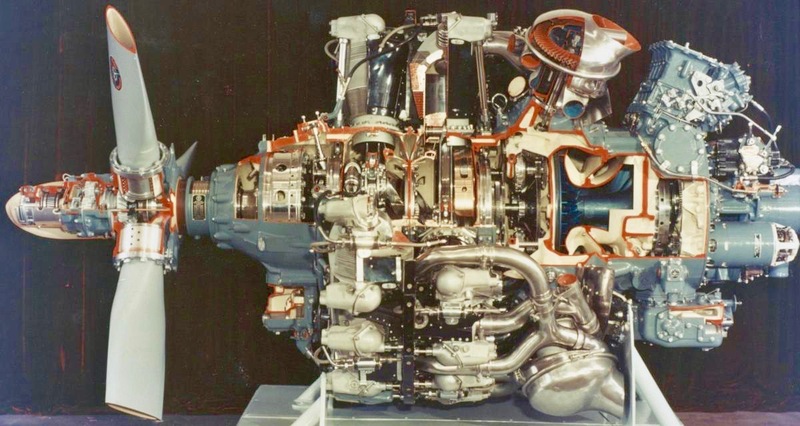 The S1H1 was a direct-drive engine. It had a Normal Power rating of 550 horsepower at 2,200 r.p.m., at 8,000 feet (2,438 meters), and 600 horsepower at 2,250 r.p.m for takeoff. The engine was 3 feet, 6.94 inches (1.091 meters) long, 4 feet, 3.75 inches (1.314 meters) in diameter, and weighed 864 pounds (392 kilograms). The Boeing 247 had a maximum speed of 200 miles per hour (320 kilometers per hour) with a cruising speed of 188 miles per hour (304 kilometers per hour). It had a range of 745 miles (1,200 kilometers) and a service ceiling of 25,400 feet (7,260 meters). 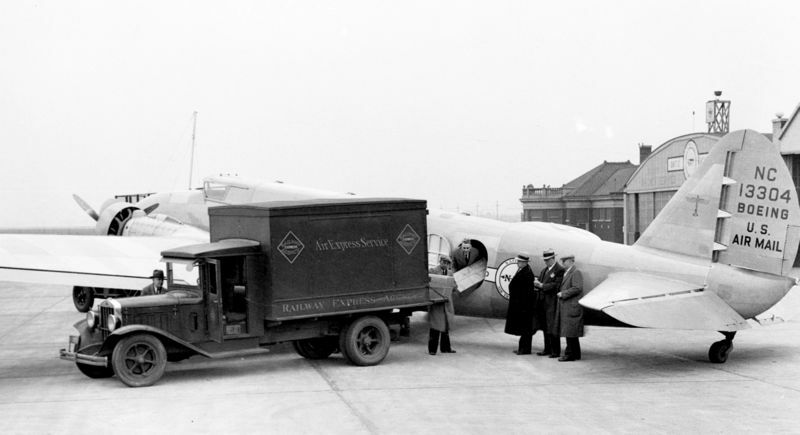 United Air Lines Boeing 247 NC13304 loading cargo at Chicago, Illinois, 1933. The investigation determined that the airliner’s tail had been blown off by a nitroglycerin bomb which had been placed in the baggage compartment. The pilots had closed both throttles, turned off the magneto switches and pulled the master switch prior to impact. 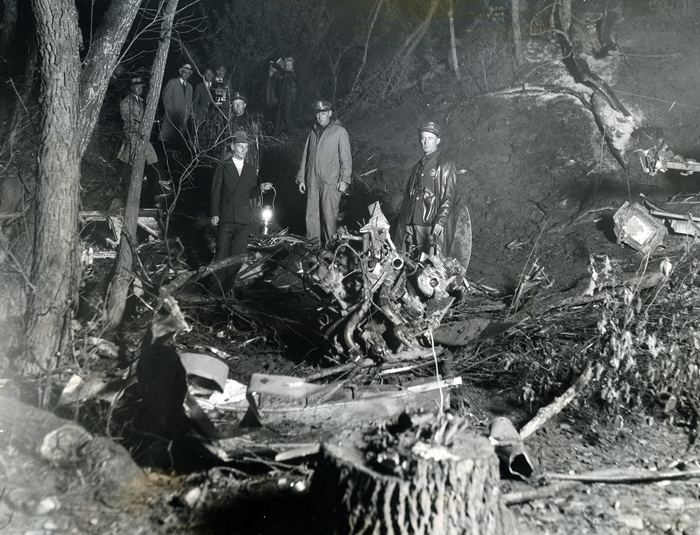 This was the first proven case of a commercial aircraft destroyed by sabotage. No suspects or motive for the crime were ever discovered.